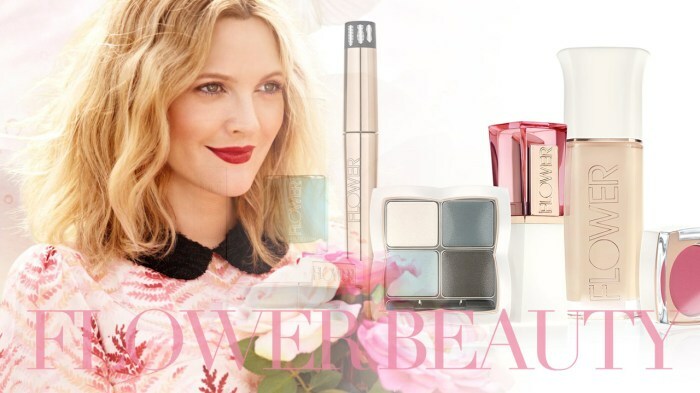 FLOWER BEAUTY is an accessible luxury beauty line that you can buy at Walmart! Salaams my lovelies! If you follow me on Instagram @hijabilife, you may have noticed that I went on a major organization spree a few weeks back. One of the major overhauls I did was my makeup bag. I had to cull through all my old lipsticks, eyeliners, and other makeup. While I was doing this, I noticed a major trend: I tend to buy the same colors over and over again! I promise you, there is a good reason for this. Since I tend to invest in a few good quality products, I always get colors that I know will look flattering. However, this means that my makeup look is the same day in and day out. It also means that I am literally wasting money because I am buying products I already have. However, I just can’t bring myself to fork over $20+ on one tube of an outrageous lipstick color I may wear once in a while! So what is a makeup junkie like me to do? Head over to her local Walmart with coupons in hand (yes I still clip coupons). Cost: For what you get, I am duly impressed. Without my coupon, it was under $10 for each item. However, after coupons and the weekly promo price, it was a little over $5 each! Packaging: The packaging is very elegant with a lot of cream/gold finishes. However, the lip butters were an odd tube shape where the cap never fully closed! So beware that you can ruin your purse with those. I solved that issue by actually keeping my lip butters upright in a side pocket in my diaper bag. Quality:The lip butters were so great! It was glossy yet not greasy, and the color pay off was just right too. If you love the L’Oreal Colour Riche Lip Balms, you will fall in love with Flower Beauty lip butters. I bought the Wispy Wisteria (a vibrant fuschia) and Princess and the Peony (a classic rose). They applied well with no patches or streaks. I personally did not like the lipgloss as much because I felt like it was too oily and the color came on a bit streaky. However, it was definitely more on par with department store brands versus a drugstore brand! Final Verdict: This is definitely a brand that is a keeper. I am just itching to head back to Walmart and try the eye makeup but I need to use up my old eye makeup first! Have any of you tried and loved this brand? Ha! My friend Nicole is the one who does this line! NO WAY! Nicole Tornicaso right? Tell Nicole to send me some more makeup lol!!!!! !